There is no better way of surrounding yourself with beauty and peace than designing a lush green garden on your own backyard. You can spend hours in this space without getting fatigued in any way. Though to be realistic you may not be able to carve out much time to spend here from your busy schedule, but the few hours you will manage are going to be sufficient to rejuvenate you for another busy day. 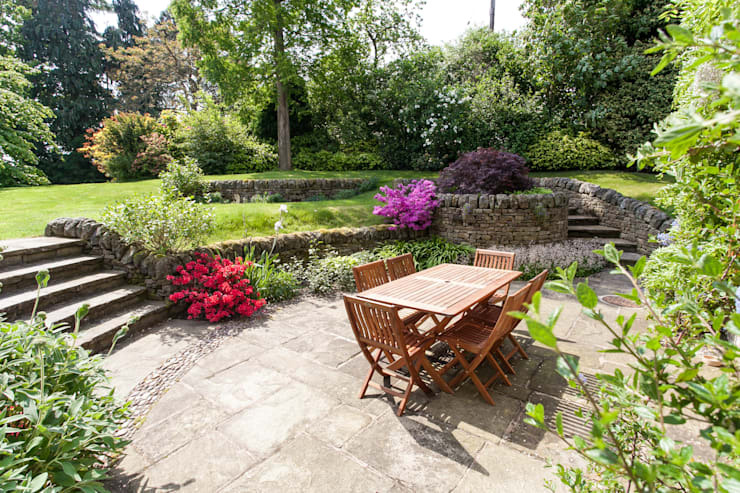 So how can you plan a beautiful garden on the premises of your own house? We share with you some interesting tips. Try to mix between evergreens like Buxus, Ficus, lavender, Daphne, Camellia, Aucuba and Holly with seasonal plants like Begonia, marigold, sweet pea, iris, zinnia and Petunia. Don’t forget to include hibiscus and calla lilies in your garden. They are staples of every tropical garden. Ferns can be grown in a shaded and moist corner. Choose hardy plants that don’t need too much care. This will help you maintain a beautiful garden without too much of a hassle. Few aspects of design never get outdates. 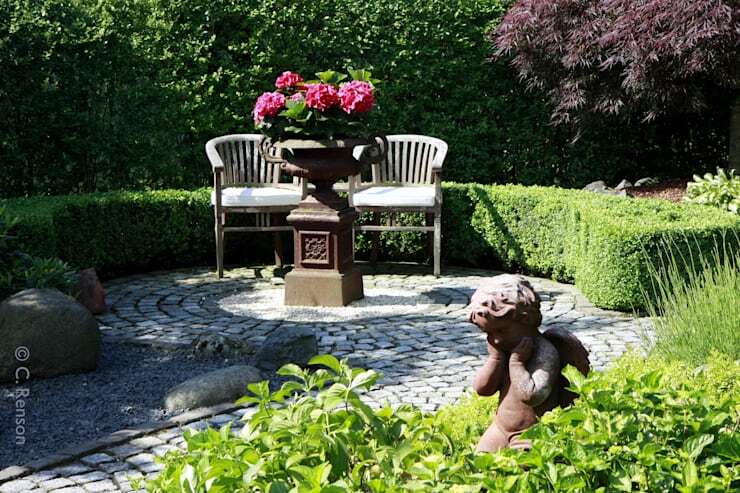 Planning a classical garden décor is one of those. Select a shaded corner of your garden. Place a few wrought iron or wooden chairs in classical design. Try to design this space close to a fountain. Install a garden statue or bird feeder of your choice. You may use mosaic, terracotta or ceramic tiles to add colour to the floor. It will also be easier to clean. 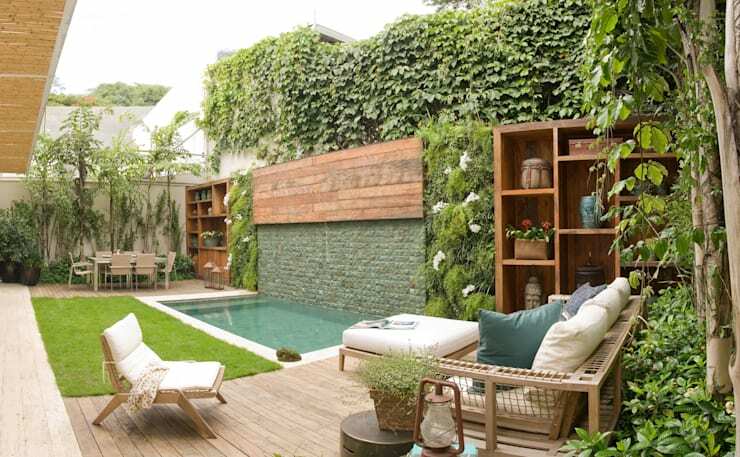 Vertical gardens are growing in popularity primarily because they are easier to design in modern homes starving for space. 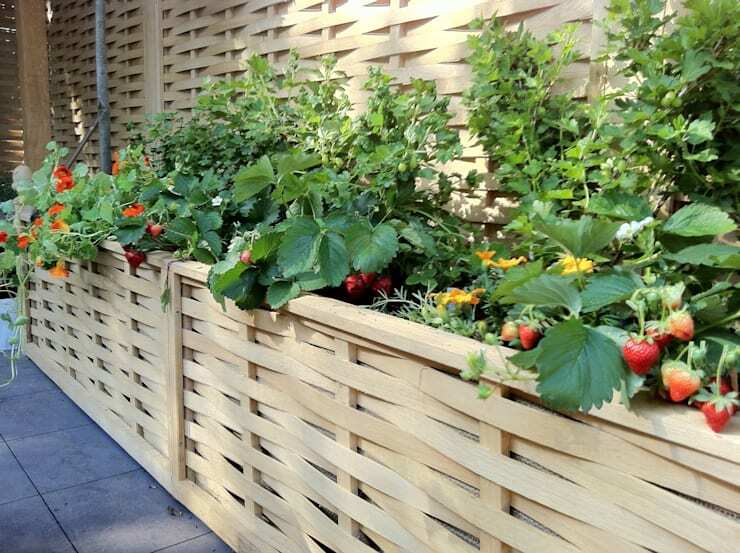 You can combine vertical gardens with your normal garden or install vertical garden walls on the patio or balcony. Plants like petunia, Nephrolepis, mint, Aeschynanthus etc are especially suited for vertical gardens. Romanesque gardens thrive on this technique. You can create levels in your garden and include an element of surprise too. Choose taller trees for the upper levels. Place shrubs and vines close to the façade of your house. 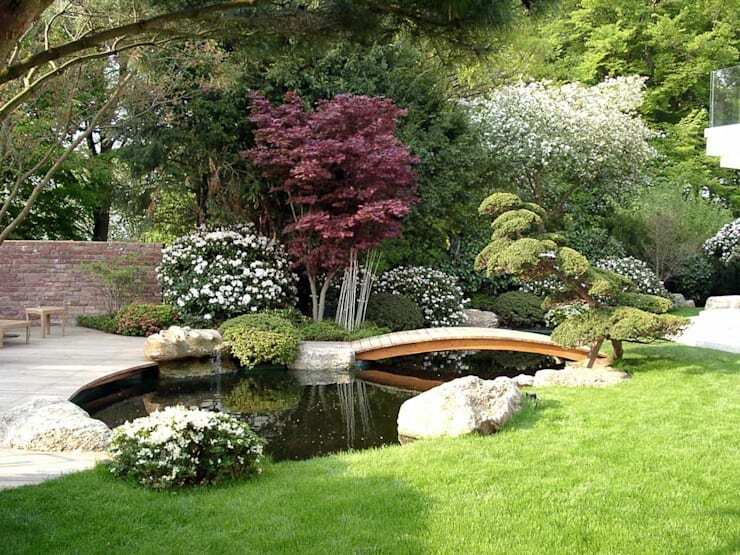 Make use of the knowledge of Japanese garden design to create a relaxing space in your backyard. You may need to speak with an expert landscape designer in this regard. Think what would love to have in this space. A rock garden, moss garden or tea garden? A rock garden is suitable for a tiny front yard of your city home or a small backyard. Tea garden can be designed in a small area as well. 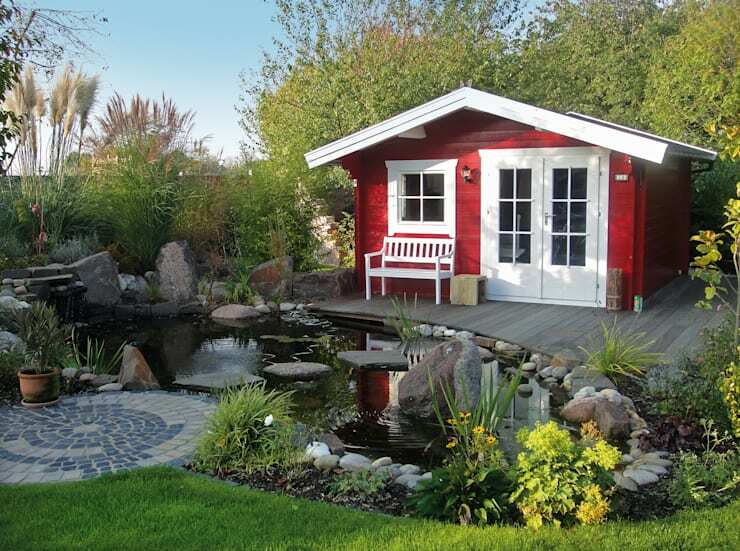 No homeowner can afford to ignore the charm of a water body in his pr her garden. Plan a shallow garden pond like this in a medium sized garden. You can turn it into a lotus or koi pond. Install a small fountain in conjunction with the garden pond or alone. Consider installing a fountain on the front yard of your home. Check out some interesting pergola designs for your home. Your garden need not have only ornamental plants. Select an area to plant easy to grow fruits and vegetable in your garden. You can plant chili pepper, bitter gourd, pumpkin, banana, potato and tomato in your garden. Potted herbs like mint, lavender, basil etc will also be a great addition in your kitchen garden. 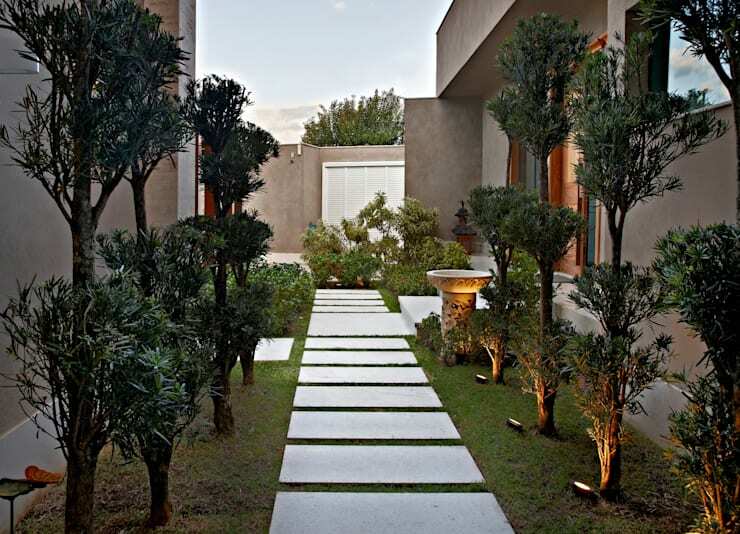 Choose different materials like solid wood, bamboo, pebbles, mulch, tiles etc to design a garden. It will reduce the monotony of design and will promote the growth of different types of plants. It is better to choose sustainable materials like rock, wood, bamboo etc to maintain the health of the garden ecosystem. Don’t forget to design a cornet especially to sit down and relax or occasionally to entertain guests during your garden parties. 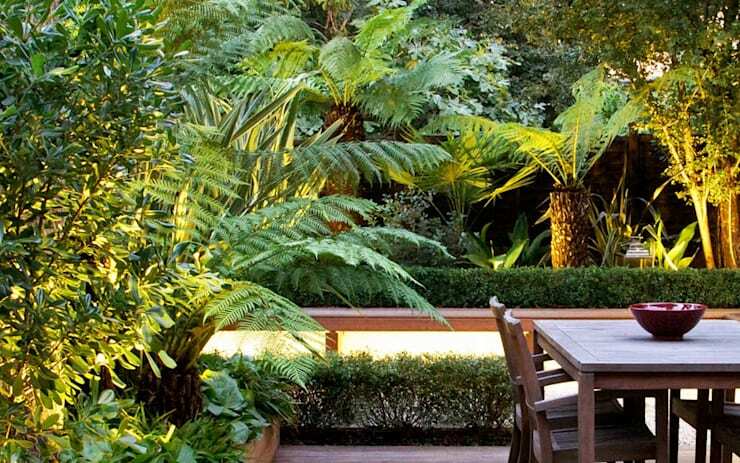 Buy outdoor furniture made of natural wood, metal or rattan for this space. The cushions should have waterproof canvas or polyester fabric materials. 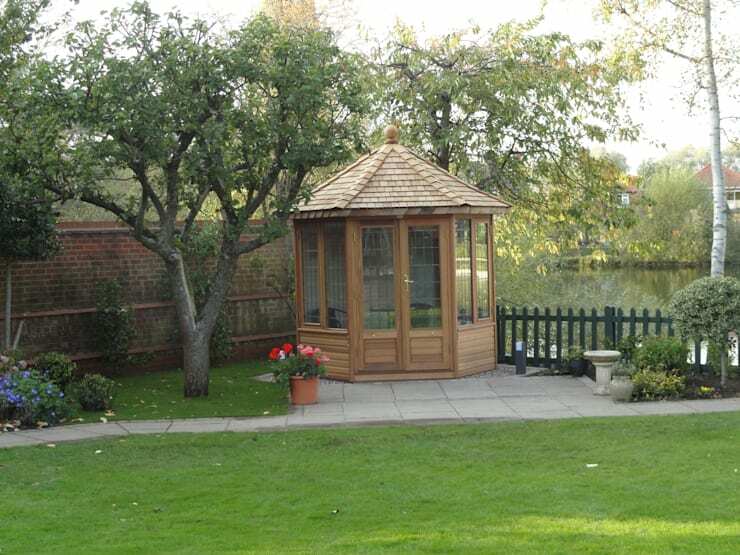 Install a gazebo that you may turn into a small home office or your children’s play area. This space could be used for relaxation during the very hot summer months. You may opt for prefabricated gazebos or build one from scratch. 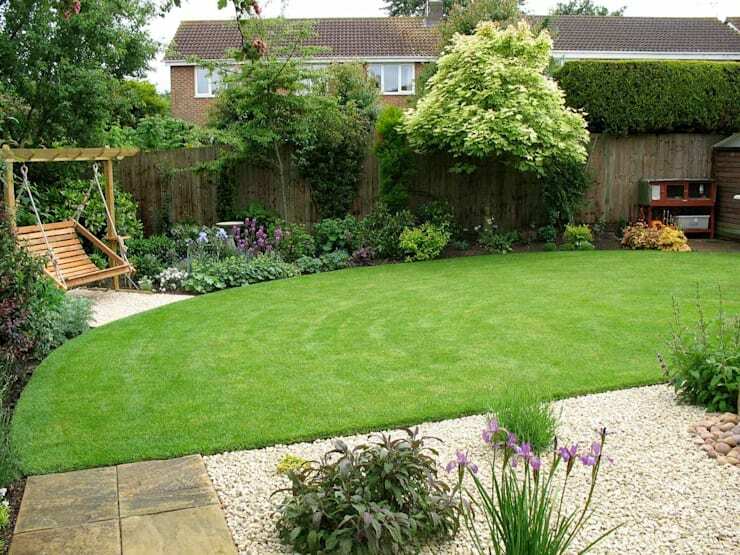 Choose a size and shape depending on the available space and the décor of your garden. Don’t forget to plan a beautiful garden path. You can design a garden path using terracotta or ceramic tiles, brick, stone, natural wood, mulch, bamboo and a variety of other materials. The choice of material will depend on the type of design and the climate of your region. For areas that experience heavy showers, travertine stone, river bed pebbles, concrete tiles or porcelain would be a better choice. Find out some of the trendy ways of designing a green space in your home. 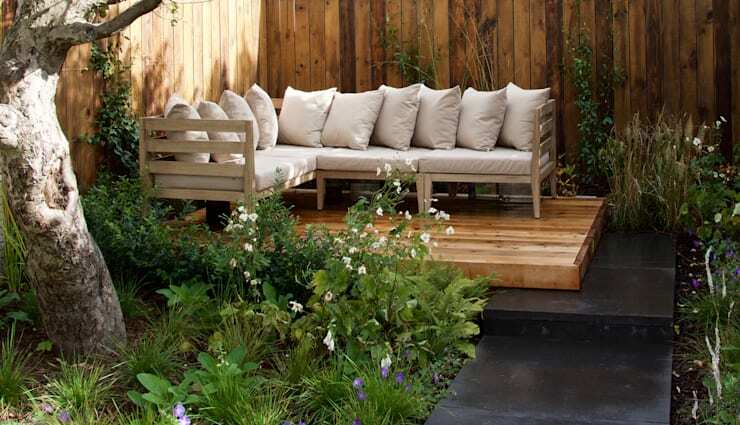 Which of these garden design ideas did you find most interesting?